Holt lake is small lake on the Warrior River System, located just south of Birmingham and it runs to just above the city of Tuscaloosa. 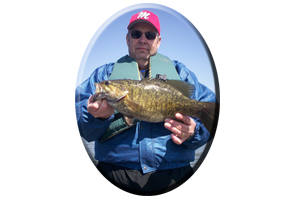 Prespawn bass on Holt lake can have their early prespawn activities slowed down considerably when muddy water following heavy spring rains muddies the lakes upper portion and its incoming feeder creeks. Cold water and muddy conditions, may call for looking towards the lakes mid to lower sections. Often clearer water can be found here. Cold fronts can slow the early spring season feeding down and delay bedding activities until April. As bedding bass begin to make their move towards the lakes shallow spawning grounds anglers should concentrate their efforts in shallow water less than 5 feet deep. Spotted bass can be seen on their beds, hugging rock bluffs, in small pockets or in the backs of pockets, or in the flats in the mid to back portions of major feeder creeks. Beds can be spotted with a good pair of polarized sunglasses. Bass coming off the beds in May can be very aggressive. Especially towards lures like topwaters, jerkbaits and crankbaits. If stained water is encountered then try oversized spinnerbaits and crankbaits, those featuring internal rattles. 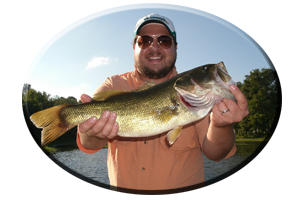 Jig combos, worms, lizards, creature baits and tube baits are good lure choices for these very hungry and often very aggressive spotted bass. Weedless lures may be needed to coax these bass out of hiding. Try frogs, floating worms and lizards and slow sinking Senkos in and around these weeds. Buzzbaits with trailer hooks can be deadly on these post spawn bass.